When purchasing or refinancing a home or transferring insurance from one company to another, it is sometimes required to have a 4 point inspection. This inspection includes a general look at, and report the age and condition of the 4 major components of the home: roof, electrical, plumbing and A./C. This inspection is performed both inside and outside the home and typically requires 45 minutes to an hour. 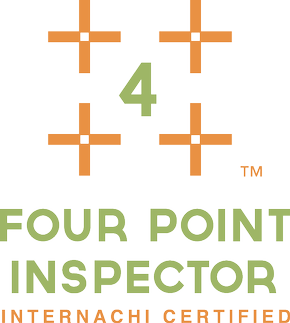 Call us to schedule your 4 point inspection today. With storm risk being so much of a part of the Florida lifestyle, it is easy to see why the government would require insurance companies to give you a break if your house can withstand the wind storms better then, let's say your neighbors. To that end, the State of Florida mandates discounts for certain building practices. The wind mitigation inspection is your opportunity to take advantage of these potential discounts. The typical wind mitigation inspection only takes 45 minutes to an hour and includes looking at inside structure elements and attachments as well as outside parts of your building systems. We would really like to get these discounts for you! 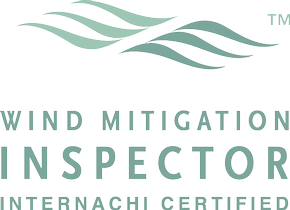 Call us to schedule your wind mitigation inspection.